COMMENTS: These Foamer tops are very sturdy and long lasting! I have used the same one for nearly a year and it still pumps perfect! COMMENTS: So happy with these foamer tops. They are perfect with the bottles I chose and work so well. COMMENTS: These go perfectly with the foamer bottles. I have never had a problem with them and will continue to use them. They look very professional with my foaming hand soaps. COMMENTS: Perfect pump for foaming soap! Have been very excited about it. Has a locking feature too. So while traveling it doesn't accidentally pump soap out. "Great quality for the price. " COMMENTS: These are the cheapest I’ve found. Great quality for the price. Will order again. "Table Top Foam Pump Tops"
COMMENTS: I've ordered so many of these pumps. Never had an issue with them. The pumps disperse the right amount of soap each and every time. COMMENTS: I used this with the clear foamer bottles. They look good and work great. Not had any issues using these. COMMENTS: I love these for my foaming hand soap. WSP has the best prices and quality. The amber bottles look very professional. COMMENTS: These work great for my liquid hand soap. They foam perfect every time and are a huge hit with my customers. COMMENTS: Love this top and matching bottle. COMMENTS: very professional look. works great. has a side turn lock which is good since you cannot buy a fresh seal liner for this bottle. COMMENTS: I bought these for my liquid hand soap and I am super pleased with how it produces foam. Will continue to purchase! COMMENTS: This is even nicer than expected. Not only does this pump produce a nice foam, it locks if twisted to one side! That is great for shipping without risk of spills. Love it! COMMENTS: Perfect pump, no leaks or customer complaints about this pump!! Love it!! COMMENTS: Foamer top works great. Black top goes with my bottle labels, gives an up-scale look to my products. COMMENTS: These look great with the amber bottles. In my own home, I reuse and reuse them. I can probably keep filling up the amber bottles with my natural soaps for almost 8 months before the pumps don't want to work any longer. They foam perfectly everytime. I definitely would recommend these foaming pumps! "Works great so far, but ..."
COMMENTS: As to general function, they work great. You will occasionally get a name brand foamer from a store that has sticking issues, so not even store bought products are immune to dysfunctional containers and/or dispensers. My only problem is noise. They squeak. Out of 3 I personally use and 5 more of the (12) purchased that have been sold or given out, all but one of them squeak like an old garden gate. Perhaps it's something that can be addressed with the manufacturer. Bottom line: They foam the soap and with a good mixture and recipe they work and they don't clog, but they're a little noisy. COMMENTS: I think this bottle is average. The cost is too much if you are trying to retail products. It is attractive though. COMMENTS: This foamer top fits the table top container perfectly. I did not have any issuse with the performace of the foamers, they all worked great! They look great paired with the amber bottles! I have received a lot of compliments!! COMMENTS: We use these with the amber bottle. They work great and are well made. We get many compliments on them!! COMMENTS: I like these for the simple fact it makes it easier for my children to use soap. However, after about a week, the pump has gone out. It no longer goes up and down, which means no soap comes out. I had to replace their soap pump a week after I made it. COMMENTS: Heavy duty pump is good for fine to thick lotions. COMMENTS: Perfect foam every time! COMMENTS: Love this foam pump. It's just the right size and it works really well. Looks awesome with my homemade liquid hand soaps. "Perfect foam, hold up for many refill applications"
COMMENTS: This foamer works well with liquid soap containing various additives. It is cost effective for the fact that soap need not be thickened and can be taken to its dilution limit. 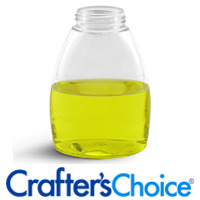 Holds up well with repeated refill applications. "Table top Foamer Pump Top"
COMMENTS: We wanted to introduce a new product, this product is exactly what we were looking for. Great product, works as described. "40 mm Table Top Foamer Pump Top - BLACK"
COMMENTS: What a great foaming top! Love that it comes locked, so i dont have to mess with that! I have never experienced leakage with this foamer top! COMMENTS: I really like these pumps. 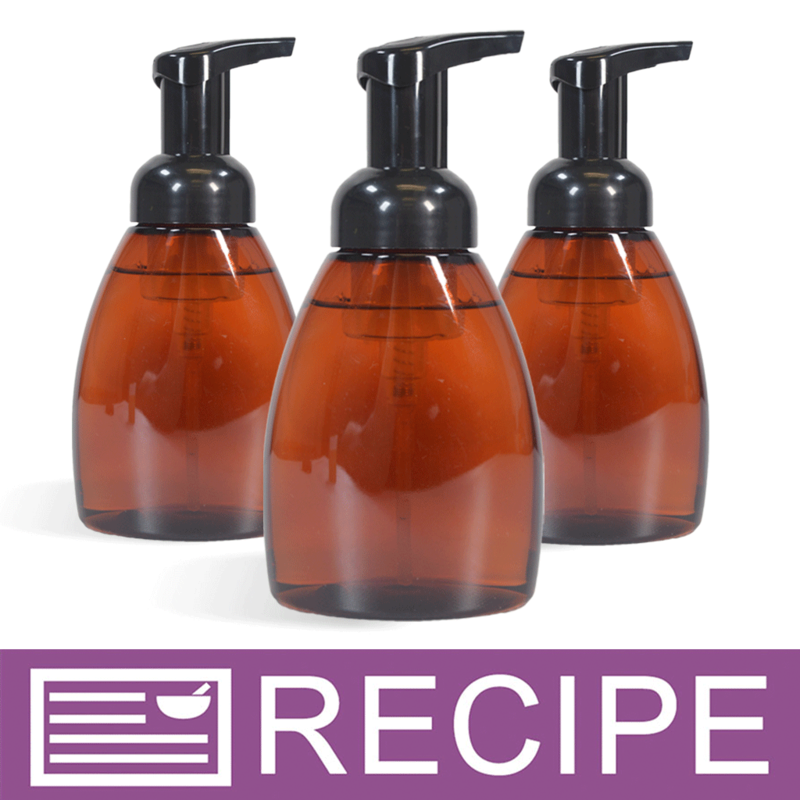 They work great to foam my liquid soap, and they lock into place well so that it doesn't depress and make a mess on the ficture. COMMENTS: Easy to use - love it! COMMENTS: If I had known how much I was going to fall in love with the foaming bottle, I would have used it long ago !!! The foamer may be a little pricey, but what you save in using soap paste makes up the difference !! I LOVE THESE !!! COMMENTS: These work perfect for foaming soaps and shampoo. COMMENTS: I bought these to go with the table top bottles. These tops really do make your soap foam! Customers love them and you can't beat the price. Great quality...they hold up really well after tons of use. COMMENTS: Seems to be of good quality. Good foaming action. Would like lower price on bottle and foamer topper. Staff Answer Yes, you can lock these pump tops. 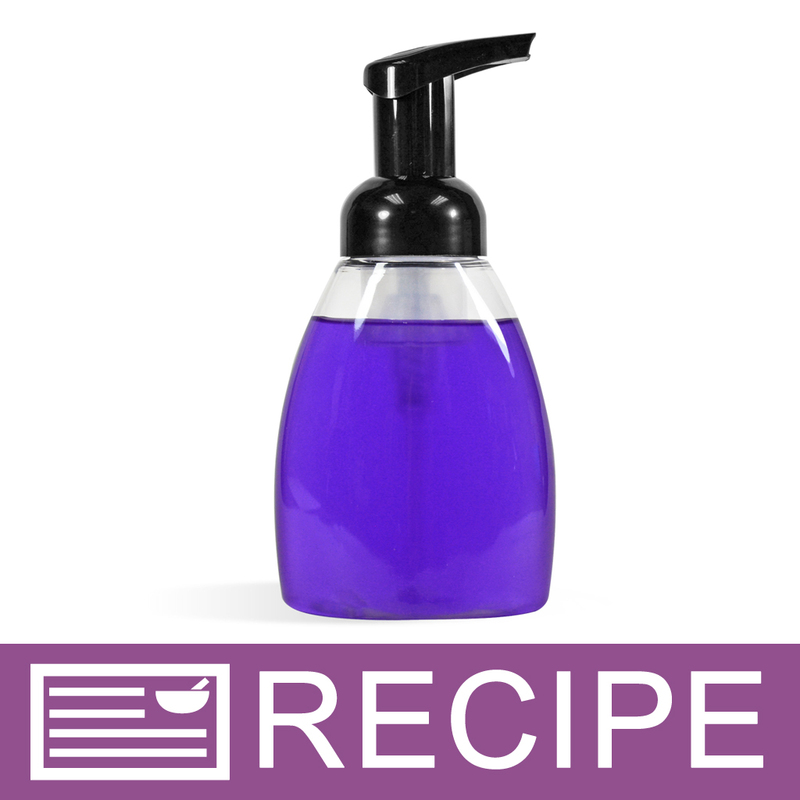 "Would a preservative be needed in the water added to liquid soap?" 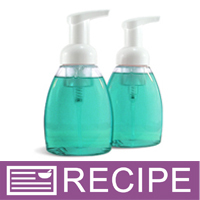 Staff Answer Yes, you would need to add a preservative to the water added to your liquid soap. 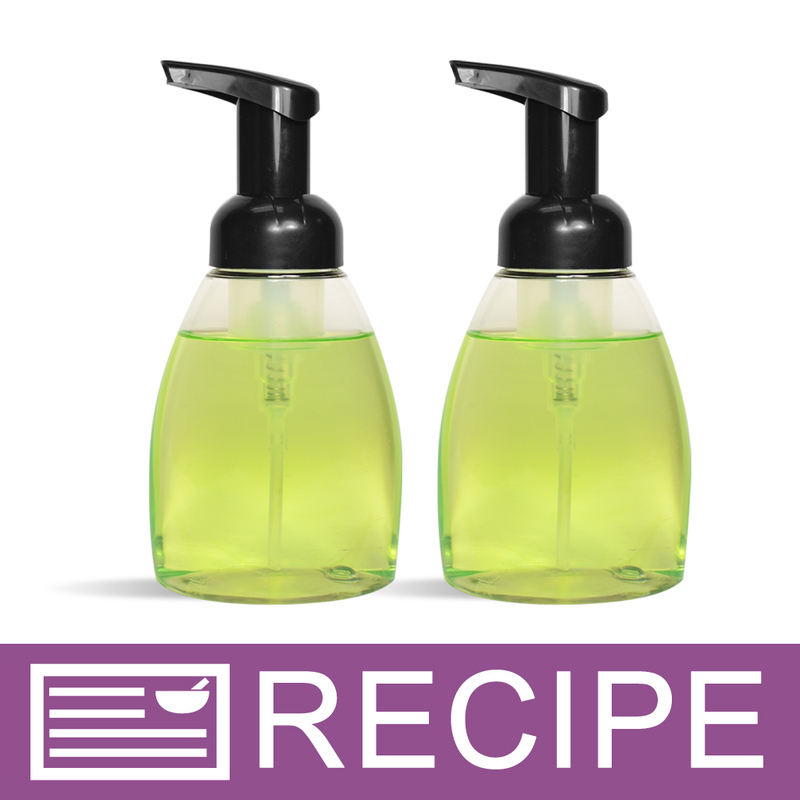 "I would like to use these with castile liquid soap. Is there a fill line and would I need to add water?" Staff Answer You would need to add water if using a liquid soap. There is no fill line, but we normally recommend 1 part soap to 3 or 4 parts water. Also, the liquid should not go too far above this foaming chamber so the pump will work properly. "I'm looking for a foamer pump top to use with the 8 oz Boston round bottles I bought from WSP instead of the 24/410 pump tops I now use. Would this top fit those bottles? If not, can you point me in the right direction?" Staff Answer We do not carry a foamer top to fit the 8 oz. Boston Round Bottle. This 40 mm Table Top Foamer Pump is made to fit the 8.5 oz. Table Top Bottle only. They will not fit any other bottle. "Can I use this foamer pump top for think body butters?" Staff Answer This foamer pump top is to be used with a liquid soap base. The foamer top creates the foam when it is pumped out. A body butter is very thick and is not a water-based product so it would not work in this pump. "Is there a Shrink wrap band or bag that will fit this?" Staff Answer The best fit for this would be the 102 x 102 shrink wrap band. 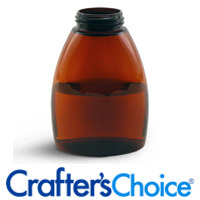 Because this bottle and lid combination are not 'smooth' you may not get a perfect looking seal with a shrink wrap band. "Can i use this type of foamer pump to coconut oil bottles. " Staff Answer The foamer pumps are typically used with our Creamy Hand & Body Wash for Foamer Bottles and FO & EO Modifier which are more water-like. We do not recommend using it with our Fractionated Coconut Oil because it is a thicker consistency. "The description says this products is made of PP (polypropylene), but it also says recycle number 6. PP is recycling number 5 and polystyrene is recycling number 6, so which is it? Is it polypropylene recycling number 5 or is it polystyrene recycling number 6?" Staff Answer This product is composed of multiple materials and therefore cannot be given a recycling number. The recycling number that was previously place on this product was an error. Thanks for bringing it to our attention. "Does this come with the clear cover/cap?" Staff Answer It does not come with a clear cover/cap. It is just the foamer top.